One of the biggest wine-related cliches is how terrible the boxed versions are. Who hasn’t attended a frat party or a poorly provisioned office party and still shudders at the thought of downing the tepid, watery swill called Franzia? Recently, several popular and tasty wine varieties have emerged to reclaim the good name of this boxed beverage. 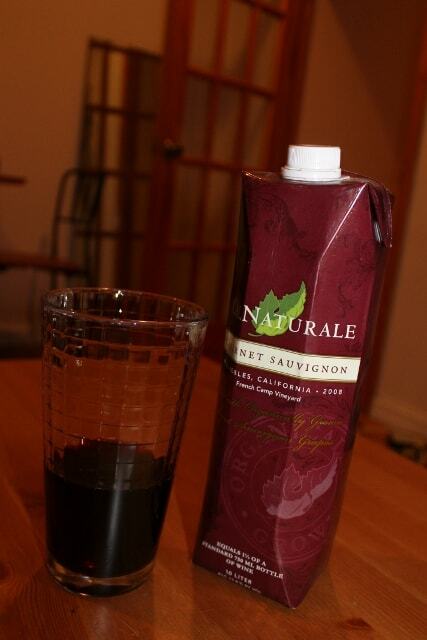 Another contender in the race is CalNaturale with its lovely organic Cabernet Sauvignon and Chardonnay wines packed in recyclable and environmentally friendly Tetra Pak cartons. Now I’m no oenophile, nor will I claim to know a fraction of what my smug friend David, president of our college Wine Club, knows about wines, but I do have well-worn taste buds. And last weekend when my boyfriend and I tried the CalNaturale Cabernet while tailgating before the Giants game we both agreed it was quite good. 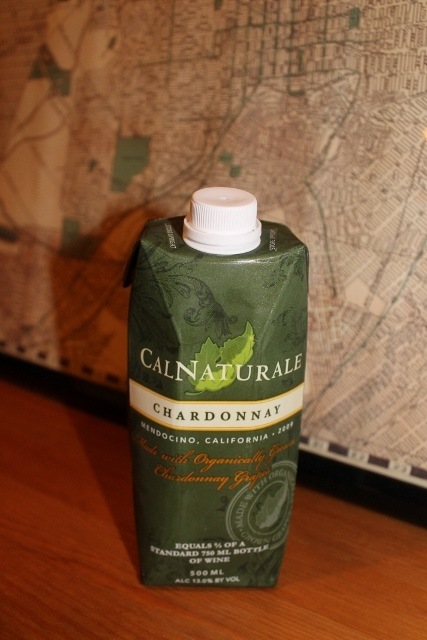 I imagine CalNaturale will be embraced largely by passing wine enthusiasts such as ourselves. However, the wine is quite versatile – it paired well with tailgating fare and still stood up when enjoyed on its own (imbibed as below: Italian-style and in a drinking glass) – so I can imagine more refined wine palates liking it as well. Regardless of your taste standards, CalNaturale‘s overarching appeal lies in its price and purpose, since the packs cost only $13 and don’t require a bottle opener and are still resealable, they are a great choice for picnics, trips, the beach and the like. For more information about CalNaturale and where you can buy it yourself, please visit www.calnaturale.com. Samples provided courtesy of Formula PR for review purposes.